This post is sponsored by Title Boxing Club Frisco. It’s a one-two-punch of holiday hoopla between now and the end of the year. Are you ready for it? This the time of year that can potentially set your emotional, physical, and mental wellness back a few notches. The stress of holidays and mindless or emotional eating coupled with trying to curb weight gain and be all you can be for your family – yikes! It’s like a downhill spiral on the psyche. So how can you confidently breeze through the holiday season, while staying healthy (inside and out)? Never, ever attend an event famished – it could spell disaster. Consider eating a healthy snack or even a light meal beforehand. 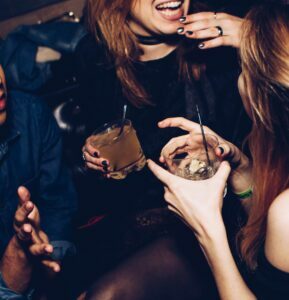 That way you’ll avoid calorie loaded hors-d’oeuvres and treats that you most likely wouldn’t eat otherwise. Stay hydrated with a few extra glasses of water, especially if you plan to indulge in a glass or two of wine. Practice saying ‘No, Thank You’! Remember, it’s okay to politely refuse to eat every goody that’s passed your way. Remove the emphasis off food and focus on catching up with family and friends. Don’t play hooky with your workouts! You may find all the late night festivities have you hitting the snooze button and skipping your regular workouts. Which is a sure way to impair your self-confidence and gain weight… ‘Tis is the season to stay focused on a regular exercise routine for physical and emotional wellness! If you need a little fitspiration this season, consider the way that celebrities like Mia Kang, Halle Berry, and some of the Victoria Secret Angels stay in shape year-round. They KNOCK OUT stress and holiday festivities and get a boost of self-confidence with a BOXING regimen. Mia Kang, a Sports Illustrated Swimsuit Model, struggled with an eating disorder and negative body image issues for years until she took up a boxing regimen while on vacation in Thailand. As she gained muscle, Kang also gained 30 pounds which transformed her body from rail-thin to a muscular physique with curves. She also hails boxing as a confidence builder. At 5’5”, fifty-two-year-old Halle Berry defies her age and stays in shape by partner boxing workouts with her trainer Peter Lee Thomas. Victoria’s Secret Angels Adriana Lima and Candice Swanepoel also tout boxing as one of their fitness routines to be able to strut the catwalk at runway shows. If boxing keeps these Hollywood icons in shape, just think of what it can do for you! 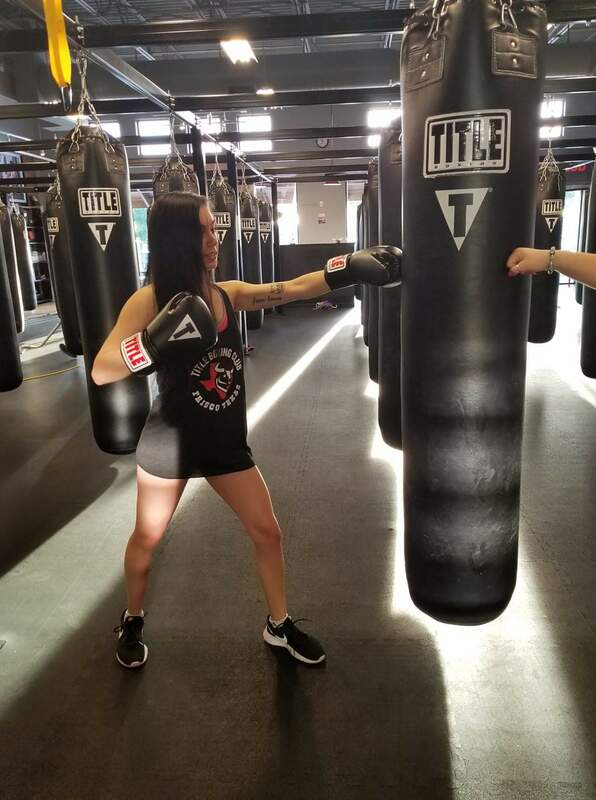 Thanks to places like Title Boxing Club in Frisco, who has modernized the sport into a full-body exercise regimen, you can curb weight gain this season and even boost your confidence! 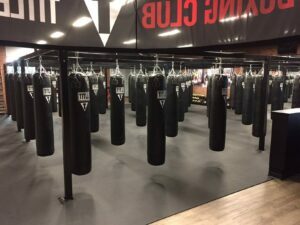 At Title Boxing Club Frisco you’ll work out very similarly to a true boxer’s session, throwing four basic punches: hook, jab, uppercut, and a cross. Each boxing round consists of 3 minutes punching against a 100-pound bag where you punch your heart out! You might even get the Eye of the Tiger like Rocky Balboa and feel empowered! The constant explosive movements during this regimen will enhance your cardiovascular system by working your heart, lungs, and muscles. It also powers up the core each time you throw a punch due to all the rotational movements from the trunk and hips. Plus, it burns mega calories! You have the ability to burn 30 calories per minute and possibly 900 calories in a 30-minute session. That’s like burning two meals’ worth of calories. You’ll be able to enjoy food at the holiday gatherings and feel guilt-free after an intense session pounding the bag!! Your first punch is on the house at Title Boxing Club. (It’s nice to have one free thing this holiday season. Hooray!) Plan 2- 3 hours a week to make room for a few boxing sessions. They offer classes 7 days a week with a wide array of times. You can rise with the chickens on Tuesday and Thursday mornings to hit a 5:30 class, or maybe a mid-morning workout at 9:00 am works better for you. During a lunchtime class, you can relieve all that built up tension and stress by punching it out to breeze through your afternoon. TBC also has convenient evening classes starting at 4:30, 6:00, and 7:30. Before throwing a punch you’ll wrap your wrists and hands in gauze to support the wrists and knuckles. After the warm-up, the trainers will take you through multiple heart-pumping rounds of boxing. By mid-way through a session, you’ll most likely be drenched in sweat (hello detox!) and possibly…begging for the cool-down. While holidays are meant to be fun and merry, at times they can be filled with a long list of duties, family conflict, stress, and incremental financial obligations. Don’t underestimate self-care and emotional health! Carrying around constant emotional baggage actually causes health problems such as exhaustion, digestive problems, a compromised immune system, weight loss or gain, sexual dysfunctions, back and neck problems, and in some cases…premature death. 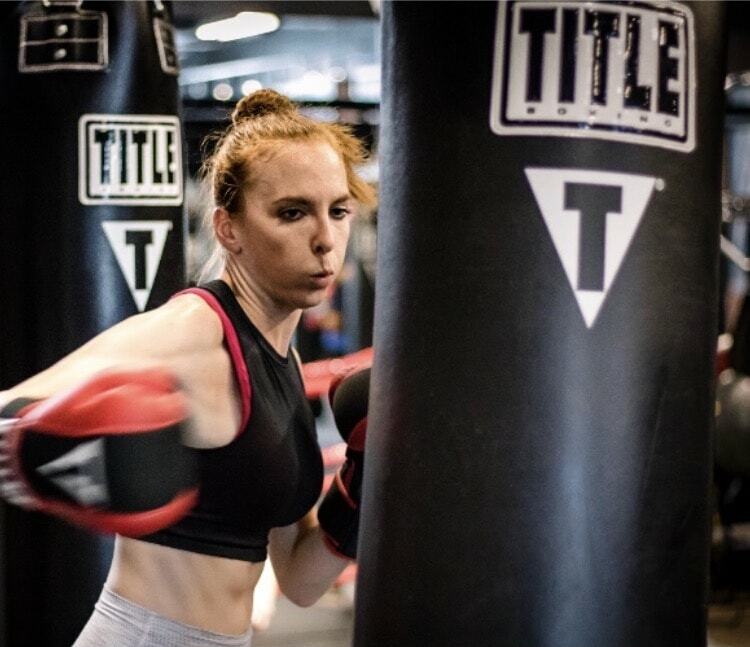 Why carry around that type of stress when you can PUNCH IT OUT on a 100-pound bag! It feels so good and boosts that confidence when you unleash all of that pent-up frustration, negative emotion, and mental baggage. So when you feel a little crazy this holiday season? Hit a boxing class, and feel empowered. Make your new motto ‘knock-out November and December’ with Title Boxing Club Frisco. You’ll have a boost of confidence, curbed holiday weight gain, and possibly the best physique of your life. Contact the Club at 214-295-4808 to learn more about their promos. Give yourself or a loved one the gift of health. What are you waiting for? Workout Tip: Some say it takes 21 days to form a habit. Others say 66 days. With any new exercise regimen, start with a few sessions a week and allow 2-3 months to reap the benefits to create a healthy lifestyle change.